From hot pink yesterday, to cool blue today. When I saw that my friend Anita (in France) is the Guest at Time Out, I just knew I had to play along! I created a masked strip of Salty Ocean blending into Peacock Feathers. The masking edges weren't crisp enough so I popped another panel on top, which gives a great shadow as well as some dimension. 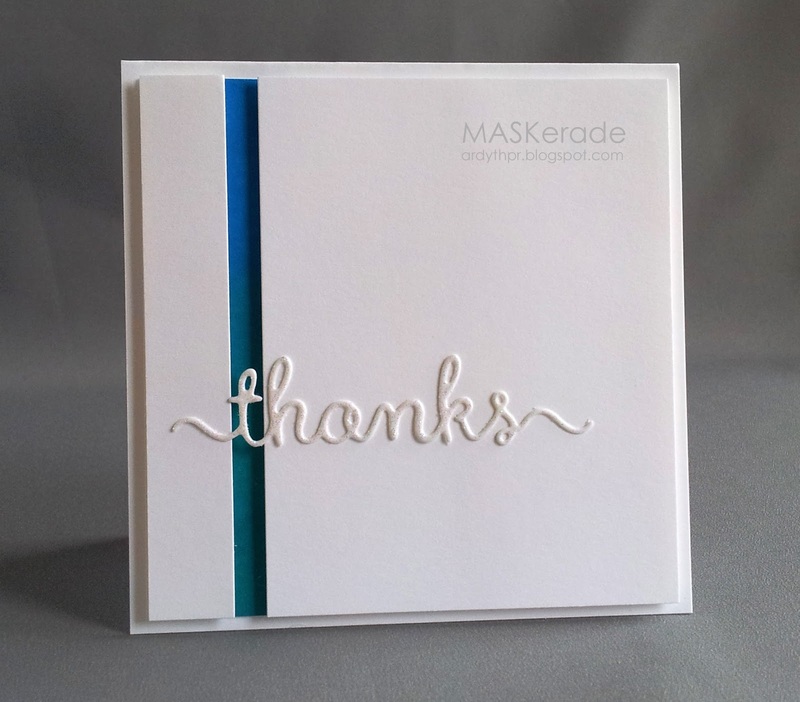 I used a scripty Clearly Besotted sentiment die cut and instead of adding bling, I embossed the thanks with iridescent ep. Just to let you know I was just checking TO and your card is not linked to the gallery? This is fantastic!! Anita is going to love it too. Love that touch of shading in the panel and white on white with the sentiment. Your usual CAS perfection!!! What a beautiful clean layered design Ardyth! Oh I love how you were inspired by Anita...the crisp lines are fabulous Ardyth. So happy to see you playing with us at Time Out! Absolutely fabulous Ardyth!! 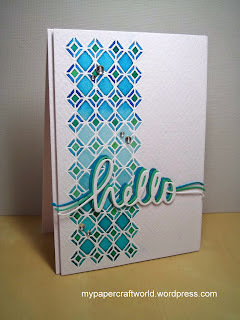 I love the white sentiment on the white with the bit of blue! Ardyth this looks so cool! This is so sweet. I love that blue strip behind the white, so beautiful. A gorgeous inspired take on Anita's card, Ardyth! Apologies for being so behind in commenting! Aiming to catch up! !